You Grow ~ We Buy! These products are trucked on flatbeds or dry vans to one of our export hay processing facilities in Ellensburg, WA; Stockton, CA; or Wilmington, CA. 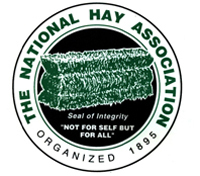 The hay is processed and packaged for shipment in sea going containers and exported to dairy and animal feed markets all over the world. ACX Global is always looking for ways to help farmers in the US and abroad. First and foremost, we go out of our way to build deep, meaningful relationships. Many of our suppliers are like family-they have been with us for more than 20 years. 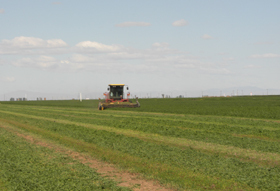 Our goal with all growers is to provide any support we can to ensure a successful harvest. After all, your product is our product, and all farmers come first with ACX Global. You are guaranteed to experience true, value-added international agribusiness when you supply forage and roughage to ACX Global.